This event is related to the current exhibition Sophie Calle, “Exquisite Pain” from the Hara Museum Collection. 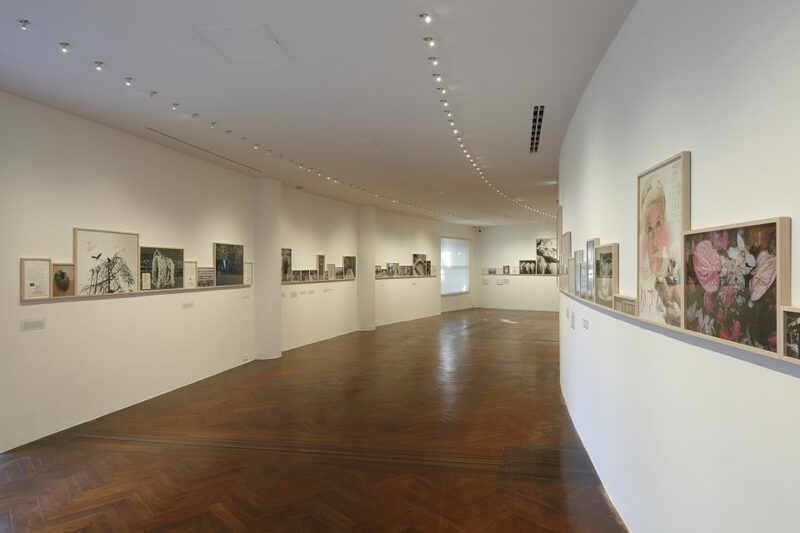 The artist Sophie Calle will talk about this show, which is being reprised after its debut at the Hara Museum in 1999, as well as her other recent work. 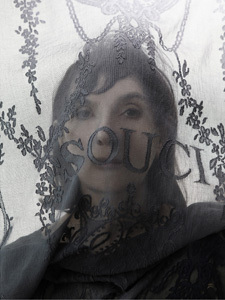 Born in Paris in 1953, Sophie Calle is a French contemporary artist who has won fame for work that is often controversial and evocative. For the project The Sleepers (1979), Calle photographed and interviewed 28 strangers whom she had invited to come to her home and sleep in her bed. For The Hotel (1981), Calle worked as a chambermaid at a hotel in Venice where she photographed the rooms of the hotel guests. For The Address Book (1983), Calle interviewed the people listed in an address book that she found in the street and then published the interviews in the French daily newspaper Libération. In the 1990s, she embarked on a series of works on sightless persons beginning with The Blind. It was a profound exploration into the nature of sight and perception which lies at the very foundation of art. Calle′s work inspired the author Paul Auster to model a fictional character named Maria Turner after her in his novel Leviathan. Calle in turn assumed the personae of Maria Turner in an installation she created called Double Game (1998). These works, which push the boundaries of contemporary art, remain a focus of much attention today. Calle has held solo exhibitions at major museums throughout the world, including the Tate Gallery (1998) and the Pompidou Center (2003-2004). In 2017, Calle held a solo exhibition in France that was much-talked about for its unusual venue, the Museum of Hunting and Nature. In Japan, she has held several solo exhibitions, including two at the Hara Museum: Exquisite Pain (1999-2000) and For the Last and First Time (2013), the latter of which traveled to the Toyota Municipal Museum of Art (2015) and the Nagasaki Prefectural Museum of Art (2016). Artistic Director of the exhibitions of the Maison de la Culture du Japon in Paris since 2014 and Director of the International Affaires Department of the Committee for “Ueno, a Global Capital of Culture” since 2018. Aomi Okabe was a professor at the Musashino Art University for 12 years, after working as Chief Curator at the Mercien Karuizawa Museum for 5 years. She was also a lecturer and Visiting Professor at the École nationale supérieure des beaux-arts for two years and spent a year as the Visiting Researcher at the New York University. 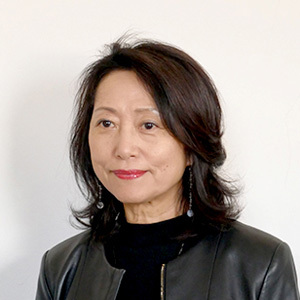 Her main achievements include being co-commissioner of “le Japon des avant-gardes 1910-70”exhibition in Pompidou Center(1986), primary judge of the biennale of Art films ( 1990, 92, Pompidou Center ), curator of “Georges Rousse, Hanshin ArtＡ Project” (1995), curator of “Georges Rousse in Miyagi”(2013), and since 2016 at the Maison de la Culture du Japon à Paris, curator of exhibitions “Daito Manabe and Motoi Ishibashi”, “Rei Naito” and “Tomoko Yoneda” etc.. She graduated from the International Christian University in Tokyo, has a master degree from the Sorbonne University and a Diplôme de recherche approfondie from the Ecole du Louvre. She realized the documentary film of “Atsuko Tanaka, another Gutai” and her publications include “Art, Women and Images-Glocal Women” which is a feminisｔ analysis of international women artists in photography and video and also ”Curiosity on Arts- Real Muséologie “, the initiation of the contemporary Japanese arts, etc.. She founded the interview web site for the Japanese Art’s scene; http://apm.musabi.ac.jp/imsc/cp/.